Once you have created a wonderful app you would like people to be able to use it. An explainer video for the app is a wonderful way of letting users know how the app works and highlight its superbly developed features and design. You need it to be a success and everything has to be explained really well. A teaser video for the app might also be required to make sure people get to use and download it. While it's important to use a video creation service with a great portfolio and real testimonials from previous customers, there are a number of reasons why an explainer video for an app is a wise decision. An app explainer video is a wonderful way of informing potential users who need to know what the app is all about. You can simply scribble a paragraph or write the features and benefits in bullet points, but you can be sure your goals won’t be accomplished as you wanted. An explainer video simply lets potential users know how the app works, why they need it, how to download it among other things in a very effective way. 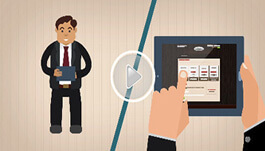 Explainer animated videos work superbly for all kinds of apps. If you have shared a video on the web before it's because you had a really good reason for it. Creating a great explainer video that shows how the app works or how to maximize on the app while carrying out various functions it is possible people will have reasons to share it. Soon it might go viral as its reputation spreads across Facebook, YouTube, Twitter and other social media sites around the web. An imaginative video creation service with enough experience can create a video that gives every viewer the urge to share it with others. Not many people are keen about scrolling down long pieces of texts just to learn how to do something or know more about a product/service. 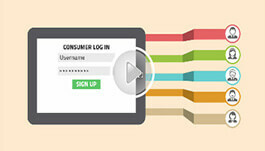 Videos are user friendly and new customers want to see rather than read. In 50 seconds you can actually tell potential users what the app is all about and much more. Every piece of content telling something about a product requires a call to action. Its one thing you need to highlight in the best and effective way possible. An explainer animated video for instance effectively highlights in the most creative way the call to action without being too obvious. 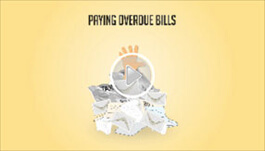 Explainer videos can deliver more than once. For example, you can have two features in one, from providing the viewer with a quick, short and incisive demo to pitching the audience. The explainer video is also the best representation of the app's quality and creativity as well as your franchise. 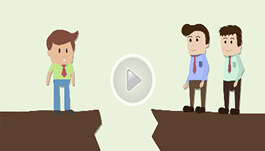 Clearly even the most creative explainer video needs some voice over to deliver the message better and clearly. As such, choose a service that offers a perfect human voice over; gives the explainer videos the attraction and persuasion they deserve. Having diverse authentic voiceovers from real people to choose from is very important.